75K Aeroplan points plus the over 6250 points you earn for spending the minimum $5K, is enough for 1 return trip ticket to Tel Aviv. Of course, you wouldn`t use Air Canada for that as you`d get hit with fuel surcharges, but with 1 stop in Newark on United, Istanbul on Turkish Airlines, or other fuel surcharge-free options, it`s a great way to spend your points. 75K British Airways Avios points (or more if AMEX is having a conversion bonus, which they do every year). Lately, these points, I have found to be useless personally, but I have set routes that I look for and they involve airlines that Avios has very limited options with, including American Airlines. 37.5K SPG Points--the most lucrative hotel points program around, that can be converted to one of over 40 airline point systems. From SPG, convert instantly in your SPG account (after linking it to your Marriott account) to 112.5K Marriott points. That`s more than enough for a 5 night stay at a Category 5 hotel. $750 worth of points that you could use towards any transaction you have made on the card. This is NOT the best use of the points. You are better off selling them to someone who will buy them, for as much as 1.3 cents to the point, so a $399 annual fee, IF you cannot write it off for business, will cost you 30K of your 75K points to avoid having to have paid for that annual fee out of your own pocket. You don`t need to have a big business--even being a self-proprietor for a starting business will suffice. Selling things on Amazon or EBay and charging the card for the shipping of items is legit enough. Your company name IS your name. Starwood Gold Status. This means Marriott Gold Status as well. All of this means upgrades that naturally occur when you arrive at the hotel. For those with families, it is totally worth calling or emailing the front desk manager or general manager and letting them know you`re staying on points and have a family that would have a hard time fitting in a studio suite, which is what you booked on points, and would like them to consider upgrading you ahead of time so you will be rest assured that there will be room for your whole family when you arrive. MANY managers will do this, except in Florida, where if it is during peak season, they will NOT do it as they will sell those rooms with cash. You could get Gold status by spending 50 nights at Marriott properties over a year, or by spending $30K on the AMEX SPG card, but this is the easiest way to get it. A concierge service to get them to make dinner reservations, find you a horse to buy it Europe, a swing that has a cover and the seats go down--you name it, they will find it for you--even give them your budget. Free membership in the Hertz Number One Club Gold, with a free car class complimentary upgrade and preferred car rental courtesies at over 590 worldwide locations. Either 50% a business class ticket when flying when buying two or only pay the taxes on the second one, depending on the airline. You have to call them at 1-866-801-4302 to take advantage of this, but that`s only if you fly business is it worth it AND if there is two of you flying. 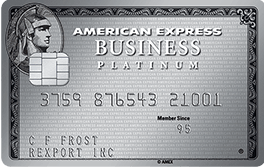 Grocery gift cards through Yesodei Hatorah accept AMEX, and they will send it to your home. All the hardware stores--Home Depot, Lowes, etc. Any travel related business--car rentals, hotels, etc. Many dentist`s offices, if you push them--they don`t like to accept it as they lose a bit more on the merchant fee, but you can give them or choice of AMEX or you could look for another dentist that WILL accept AMEX. Retirement homes. If you could get mom to send you a cheque while you pay for her stay at a retirement home, you`ll reap the benefits and in return, maybe pick up the phone once in a while? Flying out of BUF one way and back through Toronto? This is a great option. While it's an appealing price, know these routes are milk runs, so NYC takes 12 hours. Yikes! Book fast before their gone! Currently, the Hyatt Hotels website is offering suites, including one and two bedroom suites at standard point rates. You can use a combo of cash and points or just points. Of course, you have to have Hyatt points to take advantage of this, and sometimes, depending on the property, it's not worth using points. I'm not a big Hyatt or Hilton fan, as, at least Hilton points, costs for rooms tends to be way too high to earn through credit cards, by converting AMEX Membership Rewards points to Hilton, your throwing your money away. Better to use the points for cash option with AMEX, book a room with your AMEX and pay the cost of it, then use your points in lieu of the cost--that way the cost is WAAAY cheaper in points, you GET Hilton points for your stay (as much as those are worth), and you get AMEX points for the transaction, even though you'll be using your AMEX points to pay for them. Hyatt Place St. Petersburg Florida: 2500 points +$50. One Bedroom Suite. 700 sq ft.
Hyatt House Washington DC/The Wharf: 4000 points + $55. One Bedroom Suite. 468 sq ft.
Hyatt House Denver Airport: 4000 points + $55. Two Bedroom, Two Bathroom King Suite. Hyatt House Bridgewater New Jersey: 8000 points. One Bedroom Conference Suite. Hyatt Place Pittsburgh South/Meadows Racetrack: 4000 points + $55. King One Bedroom Suite w Sofa Bed. 670 sq ft.
Hyatt House Pleasant Hill California: 4000 points + $55. King One Bedroom Suite. Hyatt Place Lubbock Texas: 4000 points + $55. King Bedroom Suite. 695 sq ft.
Hyatt Place Chicago/Midway Airport: 4000 points + $55. King One Bedroom Suite with Sofa bed. 675 sq ft.
Hyatt Place New York/Yonkers: 6000 points + $75. King One Bedroom Suite with Sofa bed. 388 sq ft. HOT! Toronto-San Fran non-stop on AC for $355CDN!! Tuesday/Wednesday flights with returns on Tuesday/Wednesday are $355CDN on non-stop Air Canada flights from January through 'til mid-June. Act fast as these prices will disappear! The flights need to be booked in US$--for $281USD, which after forex fees comes out to around $355CDN. Through Air Canada and CDN websites, it costs $16 more, so your choice. Priceline is a great way to go, as you have until 11:29ET the next business day to cancel by, so if you book now, you'll have until 11:29ET to go back on the Priceline website to cancel your tickets if you wish to book now and think about it after. See the availability on Google Flights here. Click on a date to open up the calendar to see the prices for departures and returns. Prices to San Francisco direct are usually not this cheap, as you'll see when you open up the calendar.